I don’t know much about hedgehogs but they must not be too bright. Ellie loves to lie on her back like a fallen log and sneak up on them and they fall for it every single time. Ellie has a strict catch-and-release policy so you’d think by now they’d have figured out her strategy. 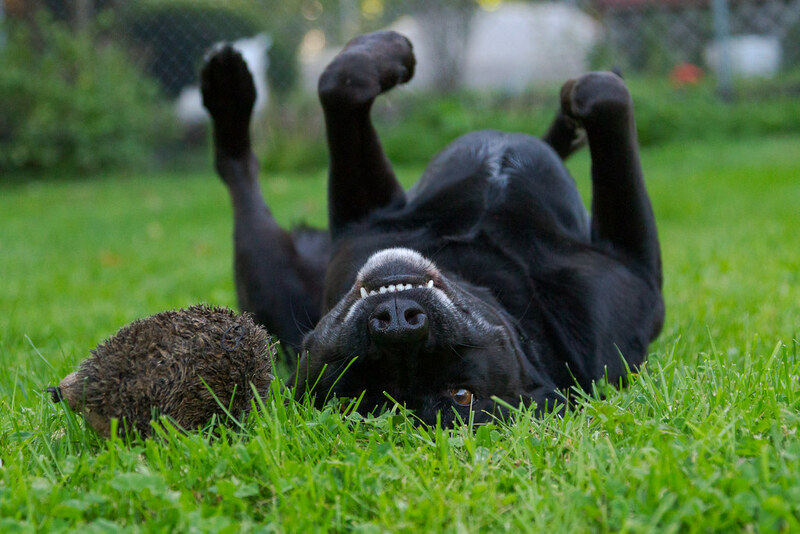 This entry was posted in Pets and tagged backyard, black lab, dog, dog toy, Ellie, grass, hedgehog, Irvington, Oregon, playing, Portland. Bookmark the permalink. ← Oh Baby Hedgehog! How I’ve Longed For This Moment!